You’ve seen the movie, now check out the unlicensed online slot from Red Tiger Gaming! 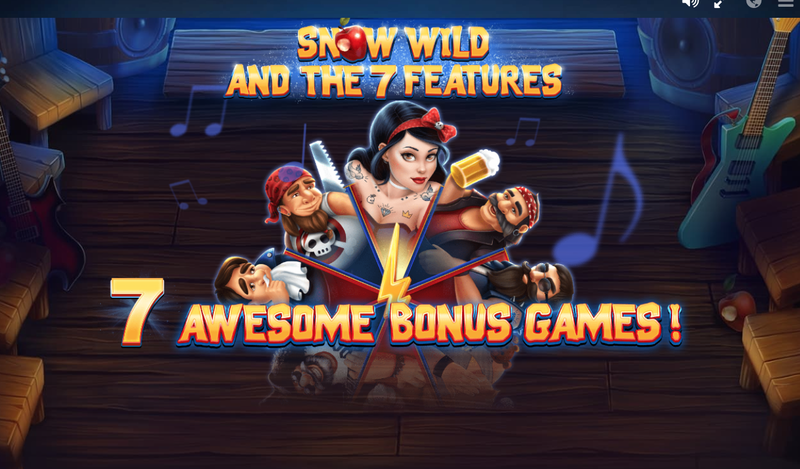 If Disney started making their own line of online slots, we’d like to think that Snow Wild and the 7 Features would be included within their catalogue. This online slot from developer Red Tiger Gaming has been mastered for any avid fan of the movie and slots in general! The games RTP percentage sits pretty at 96% which does mean that you will be earning more money as time goes on! This slot is a 3x5 sort of swing, one that plays out over 20 paylines. 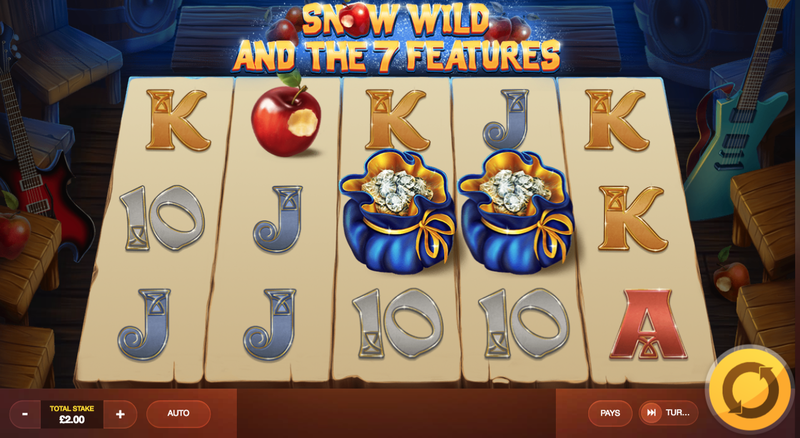 This slot is mobile optimised which will mean that taking this slot with you on the go is a possibility. Before you play you’ll need to set your coin and pay margins accordingly. These can be set from as little as 0.1 to 500.00 which is the max bet. Be sure to read on below for more info and to play casino slots online. Lucky Wheel: The 7 Features element here comes via the wheel of chance that will impact your spins in a very specific way. For example, land on Dozy and he’ll cause the symbols on the reels to move around in different patterns, adding more wins to your pockets in the process. 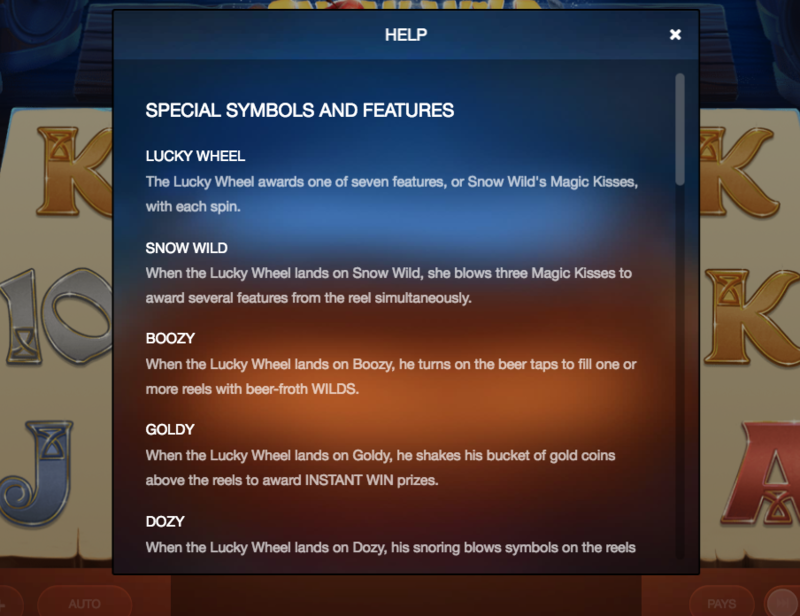 Snow Wild: One of the features found in the wheel is Snow White herself. Find her here and she’ll activate multiple features at once which will only add to your scores as a result!